Lately I have seen the “Live, Laugh and Love” type quotes everywhere. Have you seen them, something like: “Live well, Laugh often and Love much”? 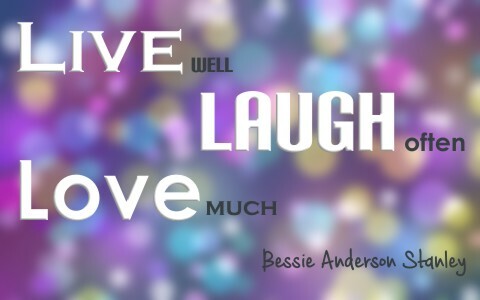 This is actually part of a great poem entitled Success that was penned by the late Bessie Anderson Stanley. This makes for some great inspirational wall art. Here are some more quotes along the same line, perhaps you are looking for Christian quotes about live, laugh and love. I pray that you were inspired by these quotes about live, laugh and love and that you might even share them with someone else. Previous post: Who Was A.W. Tozer? Next post: What Is The 9th (Ninth) Commandment In The Bible?